Stakeholders in the power supply chain -- power generation, transmission, distribution and end user levels -- are responsible for maintaining power quality. Problems in any of the power supply chain levels may result in power disturbances. Solutions to power quality problems should be a concerted effort among power supply chain stakeholders. 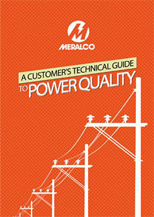 Meralco energy consultants can help you understand the variables to ensure power quality within the user system. Our energy experts can provide you with tips on load side troubleshooting and insights on equipment compatibility. Accelerate and ascertain energy project completion by contracting end-to-end engineering, procurement and construction services. This includes project management and construction of power infrastructures, planning and design of energy requirements, and the identification and acquisition of equipment and materials that are aligned with applicable code requirements. 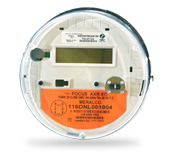 Strategically outsource all after-meter energy requirements. Services include regular inspections of facilities, preventive maintenance and safety audits, and repairs and replacements of equipment. Regulate and optimize the energy output generated from the company’s electrical systems in order to reduce strain on equipment. This manual aims to help understand the variables that affect power quality within the user system. The expert tips provided on load side trouble shooting and insights on equipment compatibility should serve to guide you in preventing potential power quality issues.